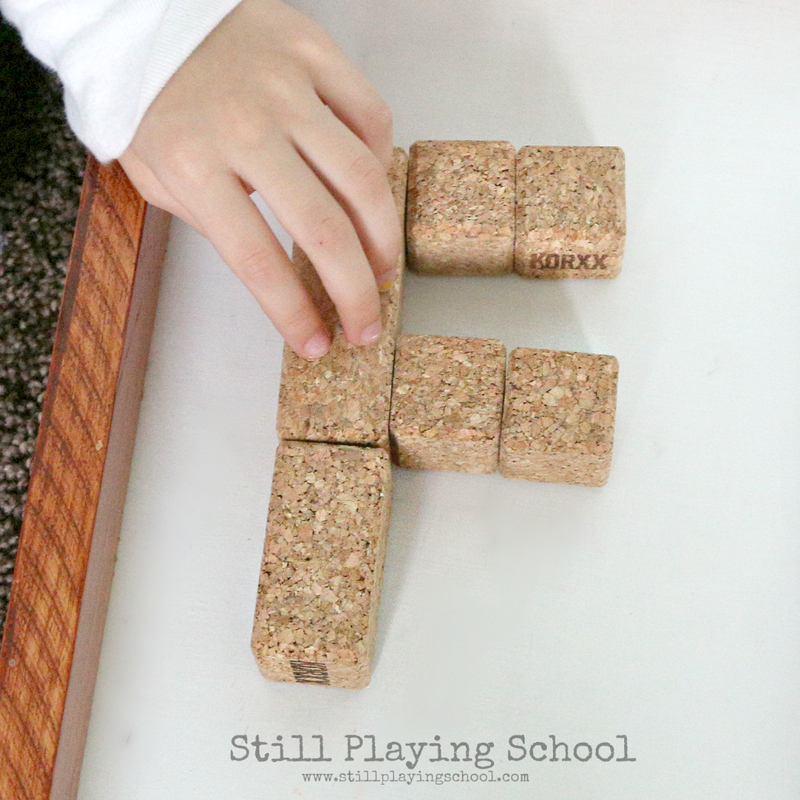 KORXX cork building blocks are a favorite for our entire family. 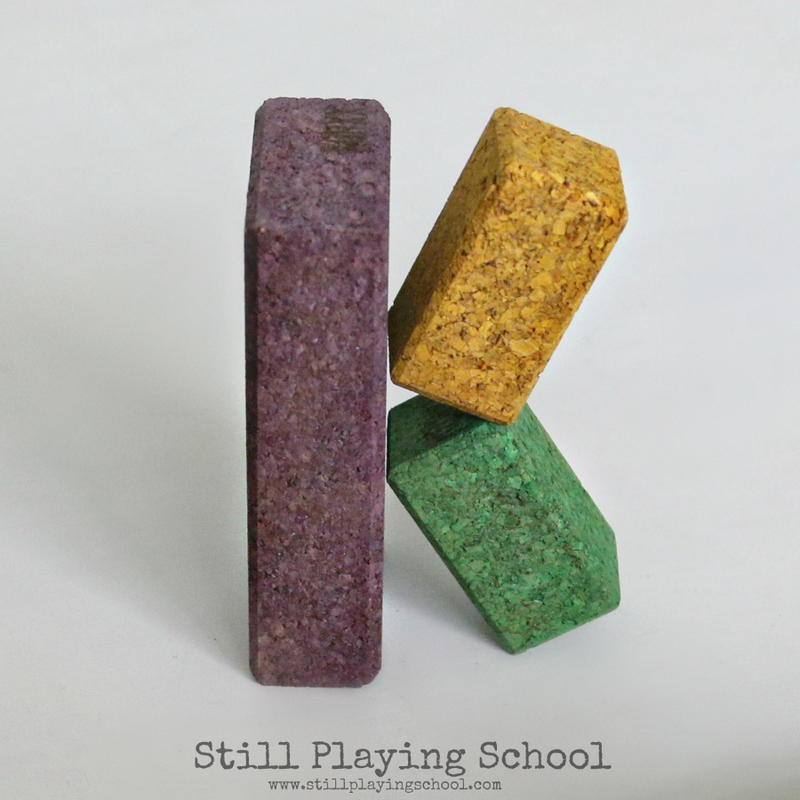 These sustainable and eco-friendly toys inspired endless free play and educational opportunities. Cork has natural unique characteristics that allows kids and adults together to build in ways where other blocks literally can't stand up! but, as always, all opinions and enthusiasm as 100% our own! The first time we felt KORXX cork building blocks in our hands something magical happened. 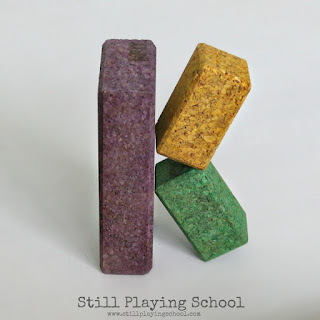 We certainly had never touched a block that was soft, durable, beautiful, and quiet. We shared our first impression of KORXX's unique characteristics here! 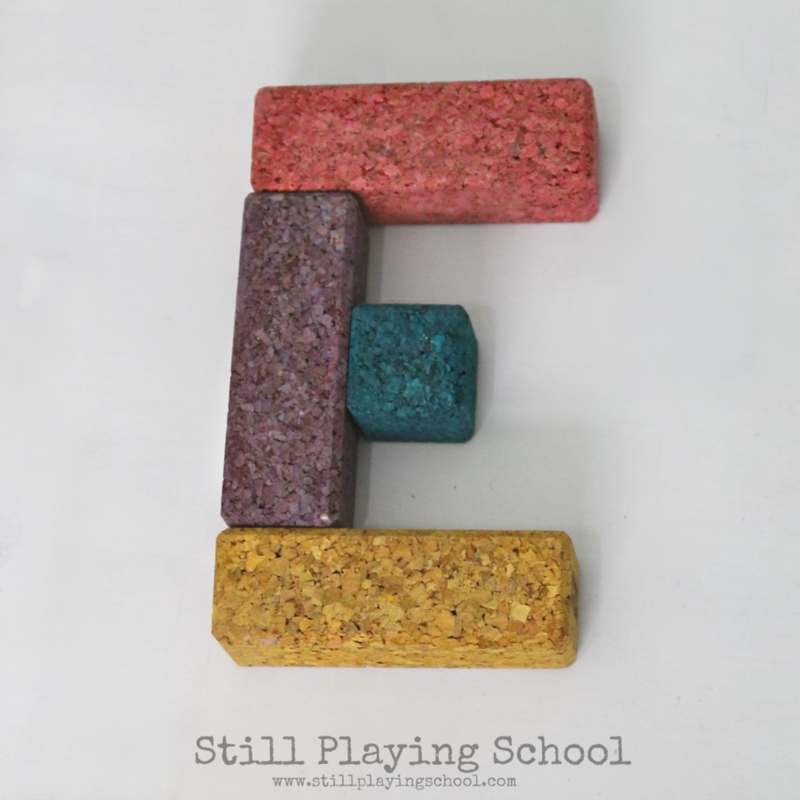 I loved the vibrant colors (that are free from harmful substances). 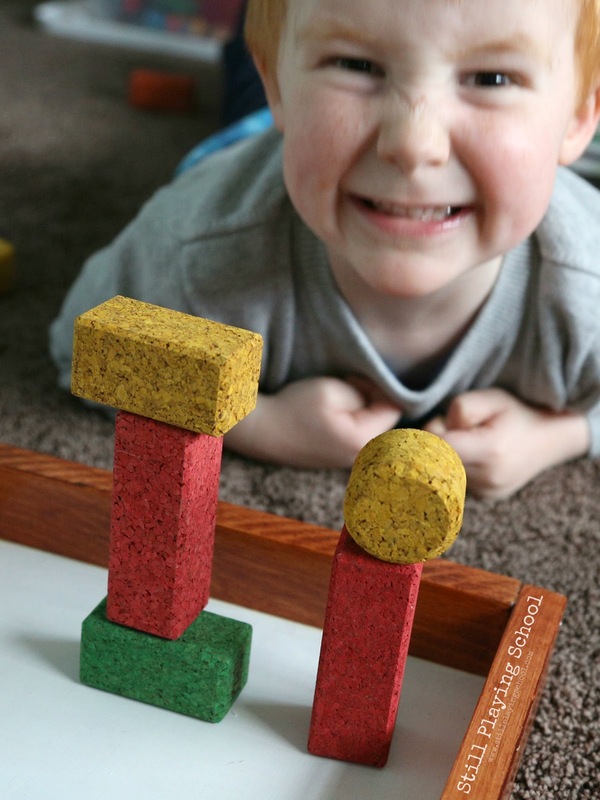 Our sensory sensitive daughter was delighted that KORXX blocks don't startle her when a structure softly tumbles over. 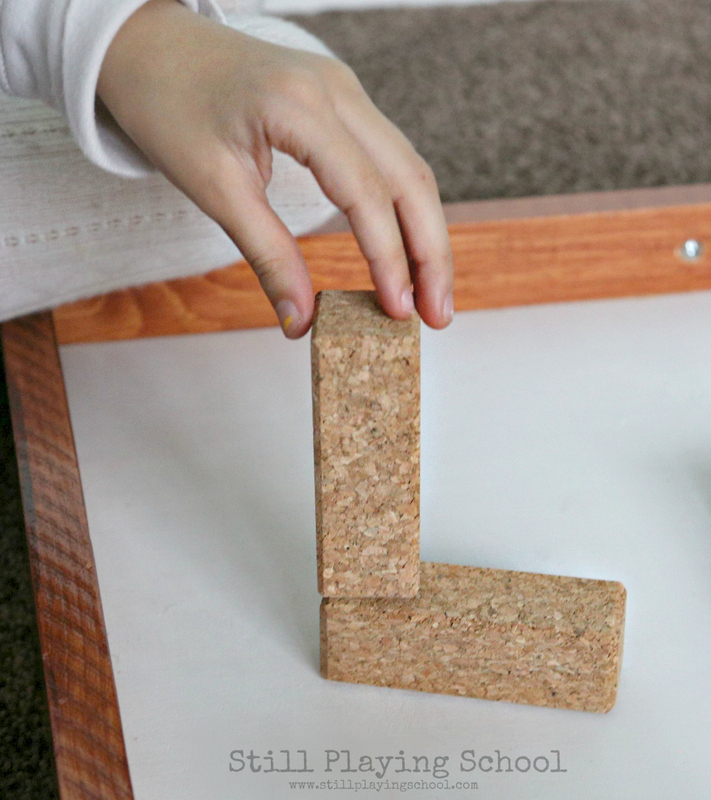 Our son is mesmerized with the creations he can successfully build with the help of the friction the cork provides. 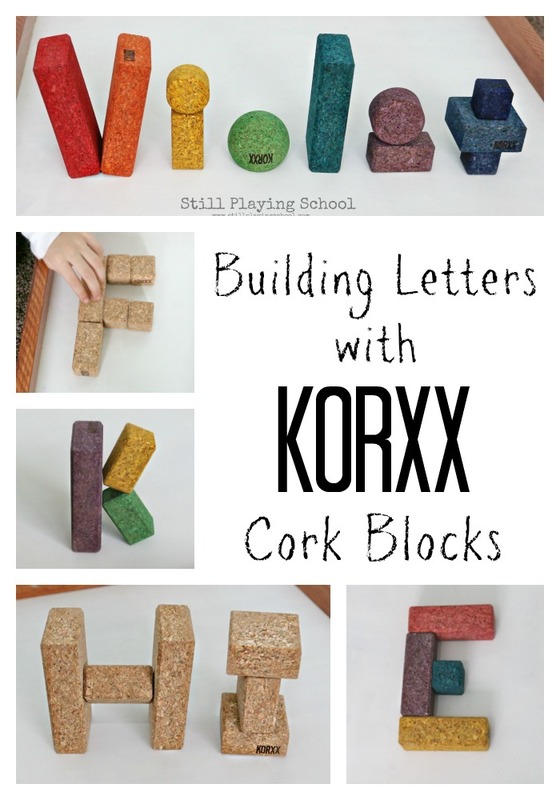 For a literacy based invitation to play with KORXX we explored what letters (and words) we could build with the cork building blocks. 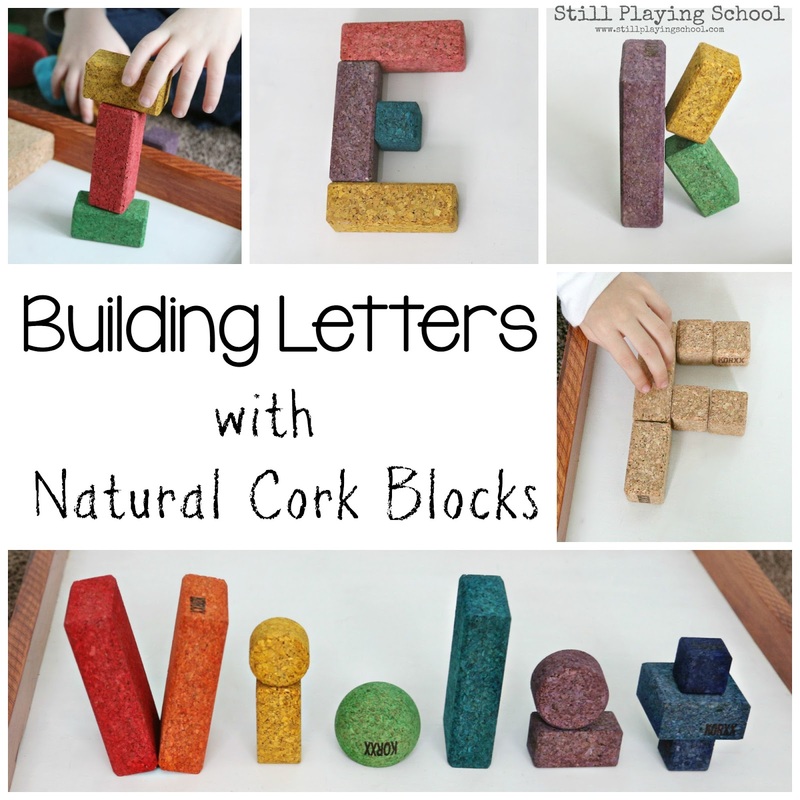 You can try this by setting out the blocks for play with a few letters already created to see what your children say and choose to do. As we brainstormed what we planned to create it led to a discussion comparing the characteristics of each letter's formation. Oh, how I love when we've chatting as we play! So much hands on learning is demonstrated here. Can we make letters that are standing up like 3D sculptures? 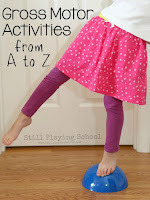 We talked about how we had to chose the certain letters from the alphabet that could work for this challenge. Invest in your child's safety, education, and the environment! Read more about The Value of KORXX! Soon our children were inspiring each other with creative alphabet statues. 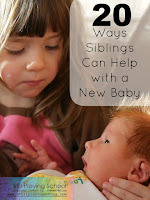 This is a soothing calm down quiet activity for early morning, when the baby is napping, or to settle in before bedtime. Our preschooler was so proud that he made both lowercase and uppercase I! 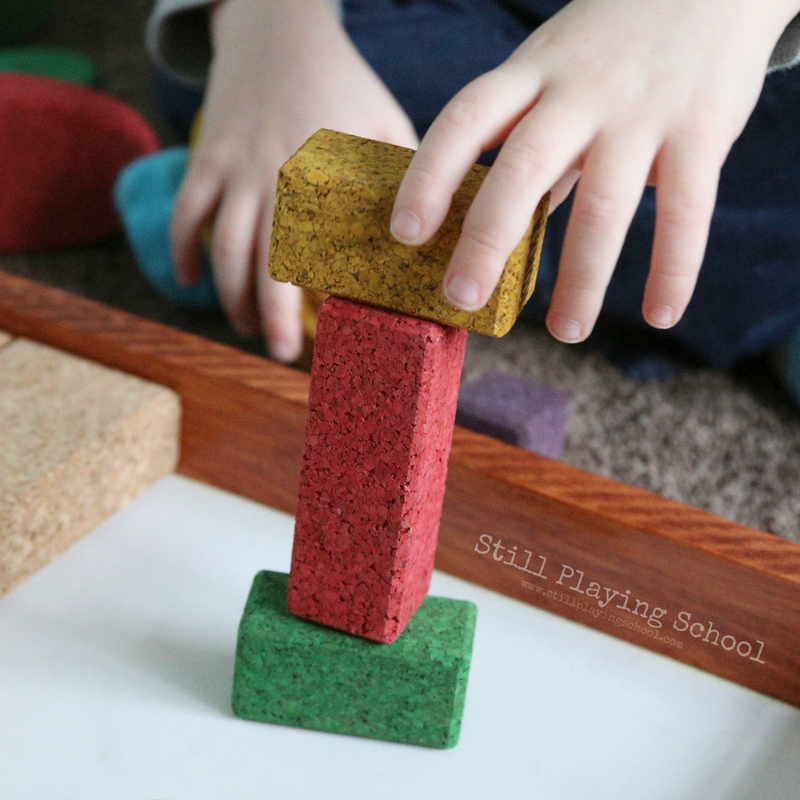 He is learning so much and I love that he can demonstrate it through play instead of assessments. We shared our play based KORXX math activities including fractions! From free exploration and building to literacy to math and science, KORXX cork blocks are a must have investment for your home or classroom. You can purchase your own KORXX through Oh-Toys and surprise everyone with the perfectly unique holiday gift this season!